A tempting set for teatime. 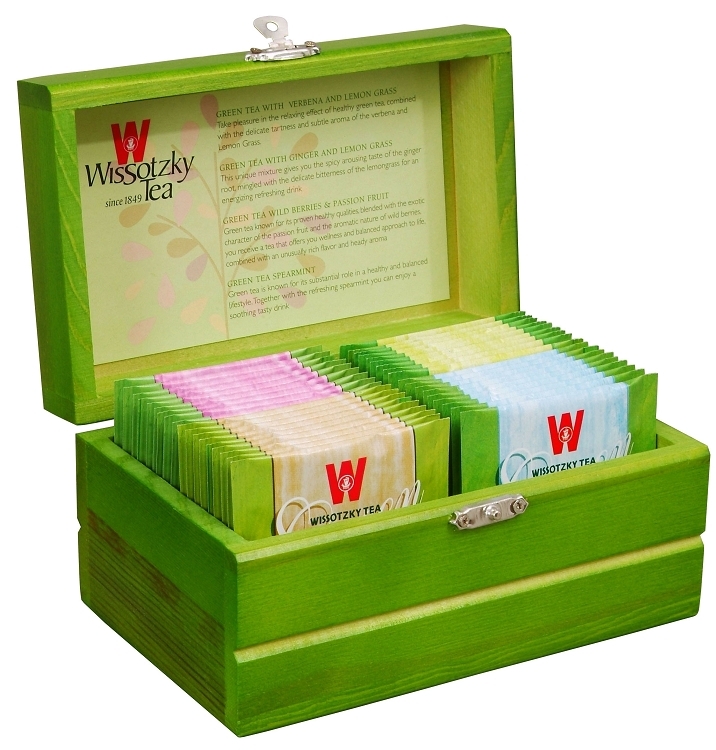 This collection of 32 assorted green teas arrives in a decorative green-tinted, mini wooden-hinged box. Each of the 4 delicious flavors is made from a unique blend of leaves and spices for a wonderful taste we've come to expect from Wissotzky Tea.